The dealers of Mahindra vehicles have started accepting bookings for soon to be launched Mahindra TUV300. The TUV300 mini SUV will be launched on September 10th 2015. You can book your TUV300 for as little as Rs. 20,000. Mahindra is betting big on TUV300 mini SUV. The company has extensively tested the vehicle and aims to position the vehicle in the rugged SUV segment like it did with the Bolero. The TUV300’s design, as revealed by the company is inspired by a war tank which is evident from the angular windshield. TUV300 features a boxy look giving it a tough and go anywhere appearance. The TUV300 will be powered by a 3 cylinder 100 Ps diesel engine with twin turbo. It is the same engine of the Quanto but tweaked for optimum performance and fuel efficiency. 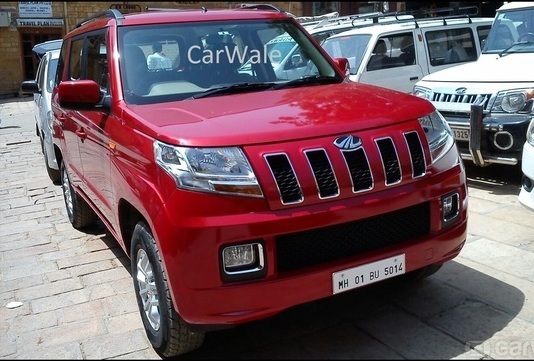 The TUV300 is said to be a low cost product from Mahindra, which means the vehicle will be priced around Rs. 5 lakh.